Hong Kong protester beating video: Police carry man around corner, then begin pummeling him. 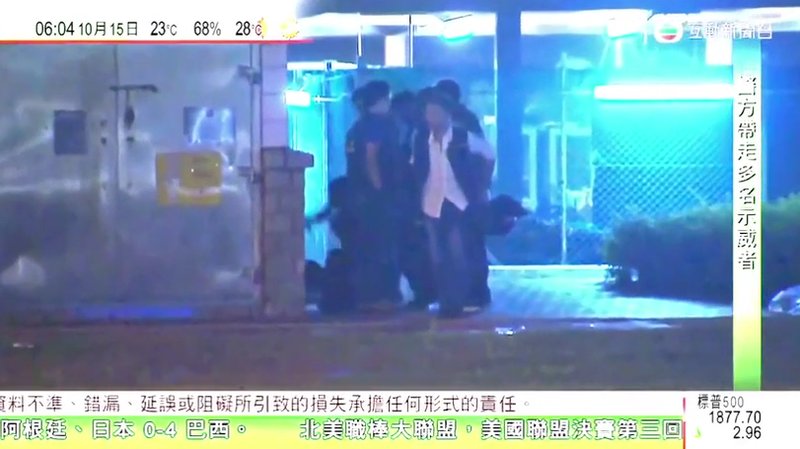 Video from Hong Kong shows police carrying a pro-democracy protester named Ken Tsang away from a protest site and around a corner, then setting him down and beating him. Hong Kong’s secretary for security, Lai Tung-kwok, said the officers involved would be temporarily removed from duties, as authorities expressed concern over the clip and promised an investigation. “The Complaints Against Police Office has already received a relevant complaint and will handle it in accordance with the established procedures in a just and impartial manner,” the Hong Kong information services department said in a statement on Wednesday. Protests have become more tense and violent in recent days as police have used tear gas and begun dissassembling barriers set up by camped-out demonstrators. Tsang, a social worker, says he was also assaulted both before and after the events in the video.